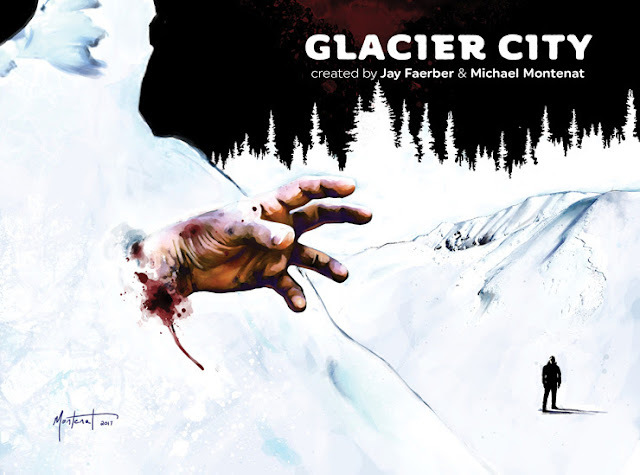 Panel Syndicate welcomes its newest member: GLACIER CITY, a police mystery series by the amazing team of writer Jay Faerber and artist Michael Montenat! Jay's the writer and co-creator of Image Comics series such as COPPERHEAD, ELSEWHERE, and DYNAMO 5, and also writes for television shows like STAR-CROSSED and ZOO. Michael's an illustrator whose clients include IDW, Legendary, BOOM!, Top Cow, Zac Brown Band and Universal Studios Japan. If the response to this "pilot" issue is good, Jay and Michael promise there will be more, so please be sure to head over to panelsyndicate.com and show them your love!